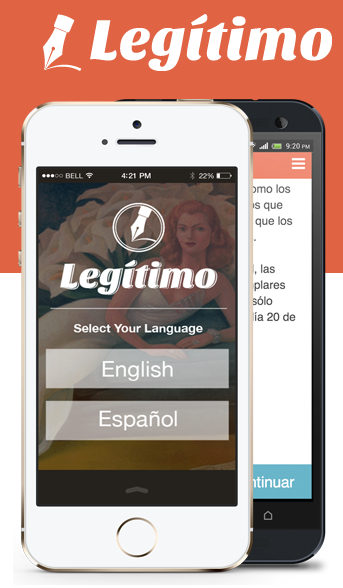 A spoiled quinceanera led to a hackathon win led to the creation of Legitimo. The New York-based startup has created a mobile app for legal documents, similar to Shake. Unlike Shake, though, Legitimo also provides simple legal agreements in Spanish, a necessity for the 69 million Spanish speakers in the US. Check out our Q&A with Legitimo co-founder Nikhil Jhunjhnuwala below, and if you’re in need of simple (Spanish!) legal documents, you can download the app on Android and iPhone. It began with a frantic phone call from Julia, a middle schooler I mentor in Los Angeles. Angrily, she explained how her family recently got ripped off during her quinceañera party. The venue they had rented was a complete mess and understaffed, the band left early, and everything was out of order. Basically, Julia’s special day was ruined and any hope for restitution was doubtful because Julia’s family did not sign any written agreements, making it difficult to prove what exactly was agreed upon. Upon hearing this story, I envisioned an app that gave ordinary people free legal protection by helping them create simple, and legally binding, contracts on the go. 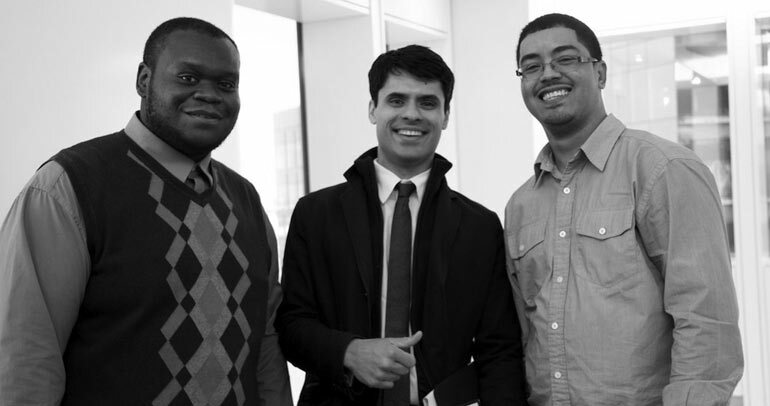 Some months later, that vision was realized at “El Hackathon” sponsored by LATISM. Twenty-four grueling hours later, we walked away with the grand prize and a prototype of Legitimo that would quickly become our obsession. 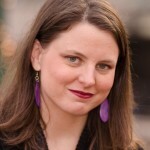 I’m a former USC Law student turned startup junkie. Keval Amin is my best friend and a graphic designer, and Legitimo is our third startup together. The other two are StartEngine incubated myRight (R.I.P) and ramen profitable LegalCrunch. We met both Sameer Kanda and Maria Gutierrez at the Hackathon event. Sameer is a developer with over 10 years of experience and is currently mining LiteCoin at the speed of broadband. Maria is a lawyer from Argentina who recently passed the New York State bar. Fun fact: 3 out of the 4 founders dropped out of school. Can you guess who the honor student is? We are based in New York City (specifically SoHo). There’s always something going on in “Silicon Alley”! It’s amazing to see so many events taking place each week. After you go to some you start see similar faces and really feel a sense of community. At the same time, newcomers are welcomed without hesitation. We went to El Hackathon on a whim and never imagined that it would lead to a real product, let alone a win. Sometimes you need a contract, but hiring a lawyer is expensive and online templates aren’t personalized. Without a convenient solution, most people forgo this basic legal protection, which unfortunately increases the likelihood of scam or fraud. No written record means it’s hard to prove what terms were agreed upon and disputes often come down to a he-said, she-said battle, the sorts of which you see on Judge Judy. Legitimo solves this problem by making it easy to create, sign, and send personalized agreements on mobile devices in seconds. Additionally, Legitimo translates contracts into other languages, allowing people that don’t speak the same language (or people that just don’t speak English for that matter) enter into legally binding agreements. Currently we support English and Spanish, but plan on expanding globally, ultimately becoming a Rosetta Stone for simple agreements. We’re initially targeting the Latino community because they are the fastest growing demographic in the US with the highest rates of smartphone usage. Capturing brand loyalty at this critical time will be important. Additionally, there are over 60 million Americans, and many more people abroad, that regularly engage in informal economies that are largely cash-based, making it difficult to take legal action should something go wrong. This is a huge problem because people end up losing money with no remedy. With a pain point this obvious and an increasing demand, it’s inevitable that something like Legitimo would make its way into the market. We just launched an Android and iPhone App! Our next milestone is to reach 100 real users, and then reach out to those users learn everything we can. Once we figure out a strong market fit, we plan on scaling. But right now we’re focused on listening. For updates, visit our website or follow us on Twitter. TV streaming company Aereo announced this week that it had raised an additional $34 million in funding. Current investor IAC led the round, with participation from Gordon Crawford, Himalayan Capital Management, and others. Aereo operates by setting up a data center in each of its cities, equipped with tiny antennae that receive and record free broadcast TV signals. Users essentially license an antennae, paying $8-12/month to stream free TV shows to any of their devices. It’s true that Aereo has scaled pretty quickly for a company that’s basically charging people for free TV. They’re in major cities all over the country, including Miami, Atlanta, Boston, and Denver. They’re also having a hard time staying out of the courts. It turns out that broadcasters don’t like having their signals stored in another company’s centers and redistributed via the cloud. Aereo gets around this by housing thousands of tiny antennae in its data centers and “licensing” them to individual users. In essence, it works just like a DVR, but in the cloud and to any device you have. So far, the courts have ruled in favor of Aereo, but on Friday the Supreme Court will hear the case broadcasters are bringing against them. $34 million on Monday. Supreme Court on Friday. That’s one hell of a week. Not that legal troubles seem to slow growth for many ambitious startups. Airbnb and Uber have both had their share of legal woes, but nobody can deny the explosive popularity of both services. Founders of disruptive startups take court appearances as a matter of course, and it often provides good media coverage for them. Aereo’s Konojia is no different. 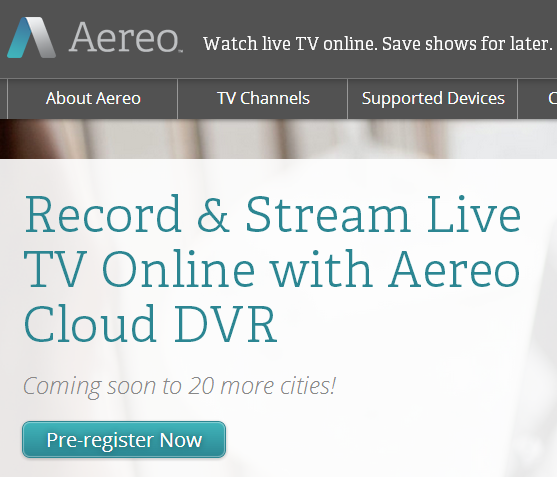 No, legal issues aren’t the biggest hurdle Aereo needs that $34 million to jump. With Apple TV, Chromecast, AIRTAME, Hulu, Netflix and even direct competitor Nimble TV all trying to reinvent the way we watch TV, there is plenty of competition out there. Not that healthy competition ever stopped a determined entrepreneur either. “What if data *is* media?” Ali asks. New York-based TiqIQ has been operating along those lines since 2009. The company works as a ticket selling platform for live events around the country. TiqIQ aggregates the best prices across several secondary platforms like eBay, TicketsNow, Vivid Seats, ScorBig and primary sellers like Ticketmaster. TiqIQ utilizes the ticket market pricing data to produce original content on events and fan-demand. They are able to see trends across the market, going back as far as 5 years. The articles are then published across their network of 1,500 fan blogs and websites, like this article on the crazy Iron Bowl that put Auburn in the SEC Championship game. Their publishing partners are impressive, including Forbes.com, Bleacher Report, Grantland, Huffington Post, Village Voice Media (with 14 properties nationwide), and high affinity sites, like the largest SEC blog in the country: Saturday Down South. TiqIQ has seen lots of growth since its inception and landed a $1.7 million Series A early last year. Now they’re looking to grow even more with the launch of a new mobile site. Actually, the site launched quietly about 3 months ago. Since then, they’ve seen a 303% growth in the mobile conversion rate and double the overall traffic. In just 3 months. Of course, it makes complete sense that mobile ticket sales would do well. Mobile shopping overall is having a year, and as consumers get more comfortable (and the experience gets better) TiqIQ can only expect that to grow. Which is why in the next couple of months they’ll also add content to the mobile site. They are going for that extra “stickiness” that will keep fans on the site long enough to buy tickets after reading about how scarce they are to a particular event. So now TiqIQ is not only a media/data company but also a content/commerce company. Two hot trends that find a pretty interesting home in live event ticket sales. TiqIQ doesn’t have the name recognition of, say, StubHub, but the disdain in House’s voice as we talked about the competition indicates that they aren’t too worried about that. And let’s face it, with growth like that and more features to roll out, the guys at TiqIQ probably aren’t worried about too much these days. Except maybe which bowl game to go. The concept is no simpler than it is in the headline. Take classes from New York startup Skillshare’s select offerings of online classes, where you can learn creative skills from visionary experts and share your own experiences, and 100% of the proceeds will go to arts and music education for students in grades k-8. Skillshare is a New York startup that serves as a marketplace linking people to hundreds of online classes across many disciplines. While there have been a handful of startups that have tried to compete in the space, Skillshare has remained the market leader. Now, in a unique partnership with Levi’s, not only is the site offering some premium classes with amazing instructors, it’s all for a good cause. The classes will help you learn new skills, and meet new people across the globe. You will be able to share your completed work with the group and some of the projects will be chosen to go into a time capsule that Levi’s and Skillshare will open in the future. You can use promocode: OURMARK to take one of the classes for free! Find out more and sign up now here at skillshare.com/makeourmark. Immigration is a hot topic for startups. But typically when we are talking about immigration and startups we’re talking about the laws that need to be changed to allow startup founders and technologists an easier path to create their companies here in the United States. We don’t typically come across startups that are looking to make the immigration process easier for people trying to legally come to the United States. Many of the people that are crossing the border illegally are doing it because they want to get over here as quickly as possible, or they have something holding them back and preventing them from legally crossing the border. There are some people, though, who are coming over to the United States illegally because the legal process is quite cumbersome. There are a lot of forms that need to be filled out, kept organized, and turned in. Like with most bureaucratic processes, if one form is not completed correctly or signed properly, the whole process comes to a screeching halt. Michael Petrucelli, who once led the U.S. Citizenship and Immigration Services, and Alan Samuels, a UK immigrant, and entrepreneur have founded ClearPath. Think of it as TurboTax for immigration. Their platform keeps all of the important paperwork for the immigration process straight and organized. 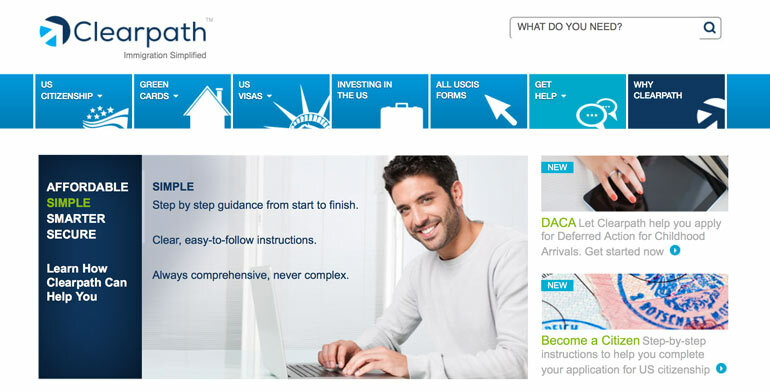 “Clearpath allows immigrants to securely and confidentially fill out a variety of immigration forms online (including a new version of the site in Spanish and new forms in Spanish, like the Deferred Action for Childhood Arrivals application or the popular N-400 naturalization form) while the site checks data in real time for potential errors and compliance and then prepares the forms for submission to the USCIS. It’s the only online service of its kind that offers a patented, affordable online option for immigrants, costing a fraction of the fees typically charged by legitimate immigration lawyers or shady notarios,” Samuels told us in an interview. Clearpath will make it easier for those looking to start their new lives legally in the United States. As the company grows it will also deter some of those trying to cross our borders illegally and get them to come into the U.S. the right way. Check out the rest of our interview with Samuels below. Clearpath has developed a greatly simplified digital filing process for immigrants applying for visas and naturalization in the USA. Think of it as a TurboTax® for immigration. Clearpath allows immigrants to securely and confidentially fill out a variety of immigration forms online (including a new version of the site in Spanish and new forms in Spanish, like the Deferred Action for Childhood Arrivals application or the popular N-400 naturalization form) while the site checks data in real time for potential errors and compliance and then prepares the forms for submission to the USCIS. It’s the only online service of its kind that offers a patented, affordable online option for immigrants, costing a fraction of the fees typically charged by legitimate immigration lawyers or shady notarios. Founder and Chairman, Michael Petrucelli, led the U.S. Citizenship and Immigration Services (USCIS) and wrote many of its policies and procedures. CEO Alan Samuels, a UK immigrant, previously founded an education finance marketplace, lead the sale of Dotmenu to GrubHub, and managed a $100 million corporate product line for S&P. Clearpath’s corporate headquarters is in NY, with offices in Washington D.C. and Miami, Fl. Immigration law is comparable in complexity to the US tax code. It is no simple task to navigate the USCIS website, identify the appropriate form, or complete it correctly. Lawyers charge between $4,000 and $10,000 to aid this process. (Notarios charge around $3,000 but often provide fraudulent services.) Clearpath Immigration brings the knowledge of US immigration administrators to these consumers with a safe, secure, smarter solution for a fraction of those prices. With all the discussion around comprehensive immigration reform, what is clear is that there will be more people eligible for more statuses and, ultimately, more forms being filed. There may be up to 11 million people who will have a path to citizenship if the Senate version of the bill is passed. This will only add to the 100 million immigration forms that are filed yearly with the United States Citizenship & Immigration Service (USCIS). Hence the opportunity for tech-enabled solutions to streamline the byzantine immigration filing process. Our product is live at www.clearpathimmigration.com and currently covers just under 30 different immigration forms including: citizenship, deferred action for childhood arrivals, bringing over a foreign relative, adjustment of status. We are in discussions with a number of potential partners to jointly market our services. Look for a pilot with one of the largest Latino organizations later this year. See why hundreds are flocking to this national startup conference in Cincinnati Sep 29-October 1. No, we did’t misspell “greatest” in that headline. 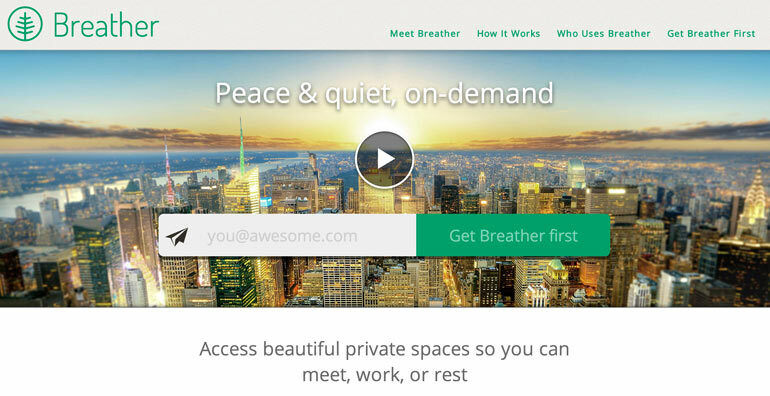 Greatist is an web startup about health and wellness. It’s an expert community driven resource that helps you reach fitness, health, and happiness goals. Whether you’re looking for great healthy recipes, workout tips, or even how to get over a hangover, Greatist offers a variety of wellness and health related content. While the content on Greatist.com is overflowing, the team at Greatist encourages their users to take it slow, one week at a time. The startup’s mission is to inspire and inform the world to make at least one healthier decision per week. Whether you want to lose weight, eat better, get stronger, get motivated, relieve stress, or just start working out, Greatist offers the content you need, in an easy-to-read format for all of their users. Derek Flanzraich has been an entrepreneur since his first “lemonade stand” startup dog walking business. All the while friends, family members, and new acquaintances would ask him what drove him, and one of those main ingredients was health and wellness. That’s why he created Greatist. Flanzraich has been featured by Forbes as an up and comer. That’s also why Andrew Warner, the founder of Mixergy, (and another Everywhere Else Cincinnati speaker) interviewed Flanzraich on his popular site Mixergy, home of the ambitious startup. Flanzraich told Warner in the interview that he thought of product first, in his case the content on Greatist, before he thought about revenue and traffic, a healthy recipe that seems to be working out. Flanzraich can talk about his experience building a school newspaper in middle school, a political forum in high school, or a web TV show and network at Harvard. He can also talk about how he joined Clicker, a startup that sold to CBS for hundreds of millions, right before exit. He even picked the startup route over joining Google. Then he can talk about building Greatist into the greatest. Why people come, why they stay, and what he has learned in his career in new media. Get your ticket or Startup Village Booth for Everywhere Else Cincinnati below. 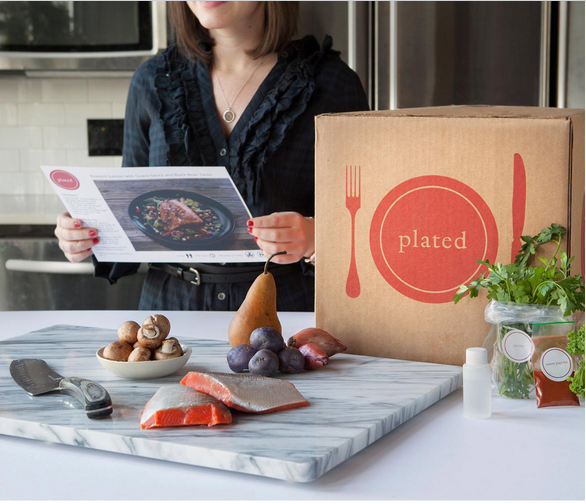 “This is not a parody,” The Phat Startup says on their website, and it’s not. A lot of entrepreneurs draw lessons from pop culture and contemporary issues and relate them to the passion and drive for startups. For me, it’s usually a mashup of hip hop and basketball. My basketball references come from my favorite team the Memphis Grizzlies, known for years as the Grit-n-Grind team, which publicly showed it off to the world through the 2013 conference finals. My hip hop references come as the form of subtle musical hints in our videos based on what city we happen to be in on the sneaker strapped startup road trip. We’re definitely not the only ones that relate hip hop to startups. One of the more famous people in the startup world, Ben Horowitz of Andreesen Horowitz, uses a hip hop lyric at the opening of all of his blog posts, like this post about the firm’s investment in both Instagram and PicPlz where he used Mase’s “Lookin at me” to open up the post. Some may draw another connection between hip hop and startups because most rappers have had to turn into entrepreneurs in their own right in order to succeed in today’s shifted music economy. There are also parallels from some of the content that hip hop artists often rap about, especially when it comes to hustle. Well on Wednesday Forbes reported on a New York startup founded by James Lopez and Anthony Frasier called “The Phat Startup”. Lopez is a technologist from the Bronx who worked at publishing giant Random House. Frasier hails from Newark, New Jersey. He is the founder of mobile startup Playd and the “award winning” gaming site “The Koalition.” He was also profiled in the popular hit documentary Black in America: The New Promise Land- Silicon Valley. CNN Money also profiled Frasier as being one of 8 minorities diversifying the tech scene. Through their blog, outreach, resources, and popular events, The Phat Startup is looking to continue to grow the tech community and teach essential skills for entrepreneurs and startup founders through hip hop. The Forbes article highlights several rap lyrics like one very infamous line from Jay-Z when he declared “I’m not a businessman, I’m a business, man,” an homage to how one of the hip hop kings grew himself, his brand, and his artists to an empire bringing his self worth to nearly half a million dollars. A song released by Drake, earlier this year, has become a theme song of sorts for several startups going through spring and summer accelerator sessions. The song “We started from the bottom” has a punchy hook that say,s “we started from the bottom now we’re here”. Hip Hop is so intertwined with the startup culture that it even spawned a huge startup that, of course, Horowitz and the Andreessen Horowitz team were quick to back. That startup, RapGenius, crowdsources the meanings to the lyrics of rap songs. Now the startup is working on other ways to incorporate the technology, like with the news for example. Back in March when Andrew Mason was fired, resigned, from Groupon, RapGenius was used to crowdsource the meaning of his now infamous letter to the Groupon team. The Phat Startup’s next event is Tuesday, August, 20th from 6-8 pm at 1412 Broadway 22nd Floor. At the event, Nihal Mehta the CEO and Co-Founder of LocalResponse will talk about The Future Of Marketing For Startups. You can join that event by clicking here. Find out more about The Phat Startup here. Now check out this awesome startup event. Do you remember when online dating was a bad thing? You know, you met someone online, but you wouldn’t dare tell your parents or your closest friends. Instead, the story was you just happened to meet the most wonderful woman (or man) in the world, who lives 500 miles away, by accident? Now online dating is the norm, especially for busy people. Sites like match.com have been around since the mid 90’s, e-harmony since 2000. There are of course hundreds of apps to help you find the next perfect match, online. Well, a startup we reported on last October, is turning online dating on its head by adding an offline component, the calling card. Cheek’d gets its name, not from dancing cheek-to-cheek or anything romantic like that, but from its founder: Lori Cheek. Cheek told us in an interview that the idea came about when she was out to dinner with a dear male friend. As they were leaving the restaurant the male friend of hers wrote his name and number on the back of a card and slipped it to an attractive woman. Sparks went off in Cheek’s head, and Cheek’d was born. Cheek’d lets you order Cheek’d cards that have a link to your Cheek’d profile. Typically in online dating you spend a while courting someone online and then meeting in person. Now you can take that first impression and back it with a robust online platform. Is it working? Cheek’d told us at Chicago TechWeek that they have thousands of users from across the globe who’ve started using the service. “Cheek’d bridges the gap between online dating and real-world romance by providing members with physical cards that they can use to entice people from the real world to flirt with them in the virtual world. It’s the 2.0 version of “Call Me.” Cheek told Nibletz. 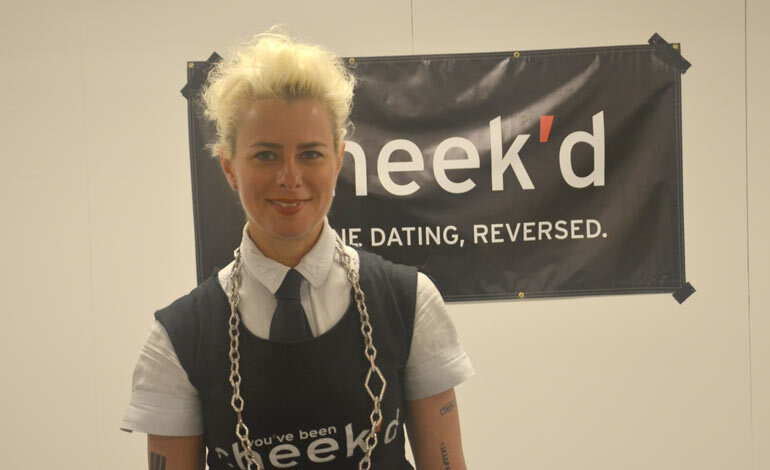 See more startup coverage from Chicago Techweek here. Why Is The Big Apple Becoming the Big Tech Apple? The rise of the New York tech scene is the most significant development in the American startup world since the tech bubble burst in 2001. Ten years ago Silicon Valley was America’s only real startup technology hub, with minor outposts in Boston, Seattle, Houston, and New York. Now the American startup scene has a large, vibrant home on the East Coast. New York is now leading the way in early-stage growth and fast becoming the home base for consumer-facing technology startups from across the globe. Sure, the Big Apple still pales in size to Silicon Valley. But the gap is rapidly closing. New York was once only the fourth largest US market for startups. Now it is second and home to over 3,000 startups, as billboards across the city proudly proclaim. What is causing this rapid growth and is it sustainable? The cause of New York’s startup growth is the confluence of interested money, effective politics, and symbiotic blending of common interests. The Big Apple finally managed to harness the vast assets and capital available because of its status as the world’s financial capital and put that to good use creating companies. By most metrics, there is no wealthier area in the world than the greater tri-state of New York, New Jersey, and Connecticut. Now companies are finally able to harness all that capital – both from institutional funds and angel investors – to thrive and create a sustainable startup market. The city was also able, through effective politics driven by a tech-friendly City Hall run by visionary billionaire Michael Bloomberg, to steer politics towards effective startup creation. Many of the city’s most effective startup-engines, including incubators like NYC Alley, are products of both private endeavor and public policy. Several of the most ambitious public-private partnerships of the last decade, including the new Cornell-Technion Entrepreneurial University partnership, will spur startup growth in the city for decades. At the root of the tri-state’s startup growth is its focus on smaller, expansion-oriented, consumer-facing companies that can leverage the tri-state’s vast population of individual private investors and take advantage of its strong mix of media and advertising. My own company, Pervasive Group Inc., leveraged relationships with the New York Angels, the Tech Launch accelerator, and investors across the tri-state to raise its angel round and fund the MMGuardian™ Parental Control solution for Android smartphones. MMGuardian is a parental control application designed to give parents a comprehensive solution to smartphone dangers facing kids, particularly cyber-bullying, texting while driving, and harassment via calls, texts, and apps. We were aptly suited to take advantage of the Big Apple’s exciting media environment and large networks of concerned, active investors looking to support companies they believe in. Best of all, New York’s startup growth is very sustainable because the networks created, policies put in place, and relationships built over the last decade will not go away. Specifically, the tri-state’s strongest angel groups–including New York Angels, Jumpstart, and Delaware Crossing–will continue to expand and to build relationships with companies worldwide, including transplants from regions as diverse as Silicon Valley and Israel. And the Big Apple’s venture scene, which remains small but is growing rapidly, will continue to expand and supplement its influential angel networks. New York was once known as the financial capital of the world, the place where money moved. It still is, but now the Big Apple can add something more – as a city that does not just move money and companies but one that creates them. Paul Grossinger is a New York City entrepreneur and angel investor. 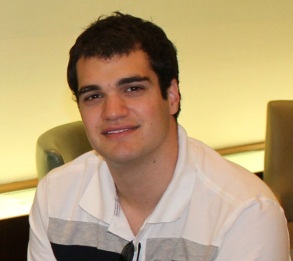 He is the Co-founder of Pervasive Group Inc. and invests with the New York Angels. Makerbot, the Brooklyn startup that came on the scene in 2009 and made 3D printing a household name, has been acquired in a $604 million dollar deal. Makerbot developed the first desktop 3D printer, dubbed the “Makerbot” and quickly sold out of the initial 20 printers they had ordered. Fast forward to just two weeks ago, the company opened up a 50,000 square foot factory in Brooklyn’s Sunset Park. 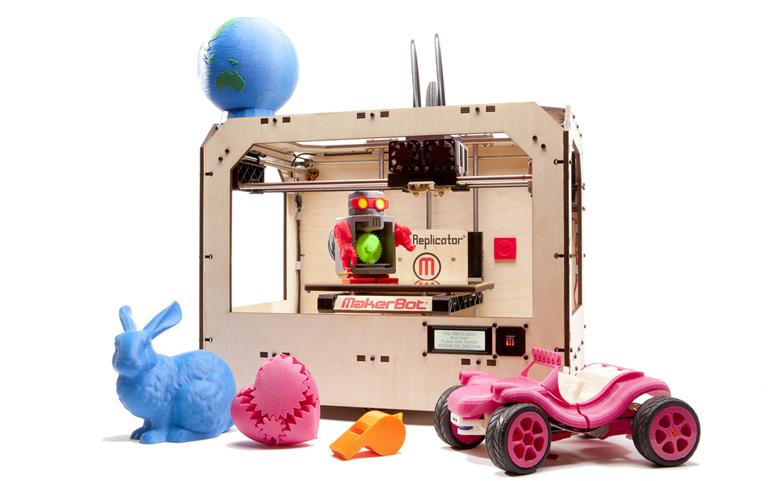 In addition to the 3D printers, Makerbot has a consumer facing web platform called Thingiverse that allows people to upload their 3d printer plans and have them printed by the company. Almost immediately after the opening of the new factory rumors started swirling that Makerbot had put themselves on the market. This afternoon those plans materialized with the announcement that industrial 3d printing giant, Stratasys, acquired the company in a deal worth up to $604 million dollars. Many tech sites, including CNet, reported earlier in the day that the all stock deal was worth $430 million howeverThe Verge reports that the initial 2/3 of the deal would happen when the deal closes with the remaining 1/3 of the deal contingent on Makerbot’s performance. Stratasys has been a mainstay in the industrial 3d printing space. While their printers print molds and parts for several industries, they came into light earlier this year when Defense Distributed used one of their high end printers to print a 3D gun that actually worked. 3D printing continues to explode. While the original Makerbot desktop printer sold for over $2,000, back in April there was a desktop 3d printer featured in the SkyMall magazine for under $1000. We saw that advertisement on the way to TechCrunch Disrupt NY 2013 where we got a chance to see 3DLT pitch their platform which is like 99 designs for 3D templates. Makerbot is also working on a 3d scanner so that users can scan objects and then print them using a Makerbot printer. This acquisition will give Stratasys a firm footing in the consumer 3D printing space. Early adopters are seeing an approaching time when people will be able to print shoes, sunglasses, cups, bowls and just about any household item from their home. 3D printing could end up being the alternative to same day delivery from giant retailers like Walmart, at least for goods that can be 3d printed. Just last month NY had another huge exit with Tumblr.